Headstone Inscription fro Fr John F Kenny in Menlough Church Grounds. 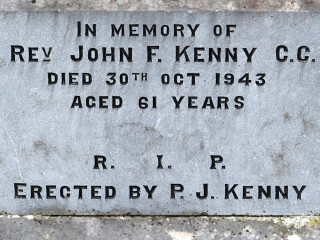 John F. Kenny, a native of Menlough, was born in 1882 and a son of Denis & Mrs Kenny. He had a sister who was married to John Joe Egan, St. Benin’s, Ballygaddy Road, Tuam, managing director of John Egan & Son (Dublin) Ltd., Tuam. She spent some years as assistant teacher in Kilbannon N.S. while his other siblings were Mrs. Diskin N.T. Menlough, Mrs. Mangan N.T. Garbally, Miss Agnes Kenny, Menlough, Mr M. Kenny B.A., London, Mr. P. Kenny B.A., Bath, England and Mother M. Alphonsus, Convent of Mercy, Tuam. Fr. John was ordained in 1908 and ministered in Glasgow for a time before returning in 1911 to be appointed CC in Ballinakill. 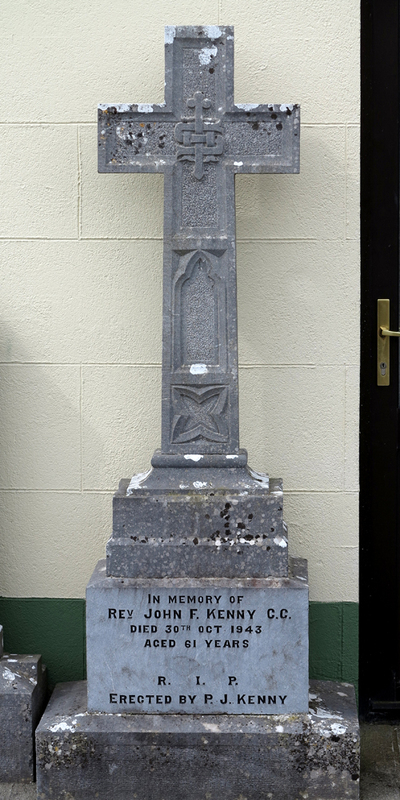 He was later appointed CC in Mayo-Abbey in 1927 and 1933 and was CC in Killererin from 1937 to his death in 1943. Fr. Kenny passed away in Killererin on October 30th. 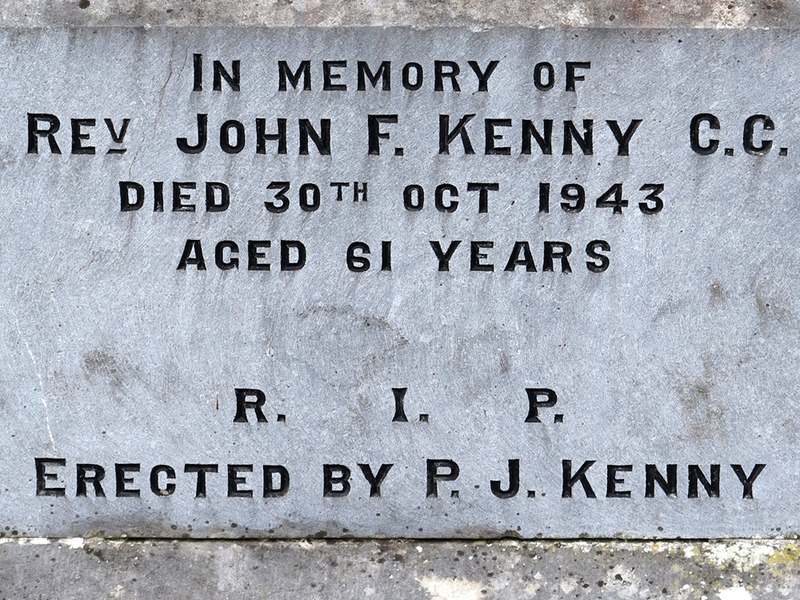 1943 at the age of 61 and is laid to rest in Menlough Church grounds.